Scottsdale Appliance and AC Repair | Fast Response. Flexible Scheduling. You’ve found the home page for the leading Scottsdale appliance repair company! We fix all major appliances and our AC repair is second to none. Here’s why our customers make us the only company they consider for appliance repair in Scottsdale: We Offer Appliance Repair on All Major Appliances Among our list of repair services are refrigerators, dishwashers, ranges, ovens, washers & dryers and more. Our skilled technicians can repair any brand too, including General Electric (GE), Whirlpool, LG, Samsung, Bosch, Maytag, Kenmore, KitchenAid, Amana, Hotpoint, Jenn-Air, Imperial, Westinghouse, Electrolux, Wolf, Sub-Zero and Miele. With a large parts inventory available, we’ll have what you need in stock or get it very quickly, so your appliance repair will be done a.s.a.p. and done right the first time. We also offer complete AC repair. We fix central air conditioning, window AC and portable ACs, so when your air conditioner fails, call us and we’ll come running to get you back in the cool air quickly and affordably. We Provide Professional Repair with Great Customer Service Our air conditioning repair and appliance repair technicians have the best training in the industry and the experience to put it to work for you. Our technician will quickly troubleshoot the repair issue and supply you with a clear, written estimate that includes all costs. Only when you approve the estimate will the repair be done. There won’t be any hidden fees or costs you didn’t expect. Scottsdale Appliance Repair and Beyond We serve all of Maricopa and Pinal Counties. That means we provide our repair in Phoenix, Mesa, Gilbert, Chandler, Tempe, Surprise, Glendale and all of the surrounding cities. When you trust us with your AC and appliance repair, we won’t delay…we’ll be on the way with great service and prices! "Scottsdale Appliance and AC Repair fixed my Asko clothes dryer last week, and I appreciate it. They got here quickly and the price was very reasonable…qualities I haven’t found in other local appliance companies. 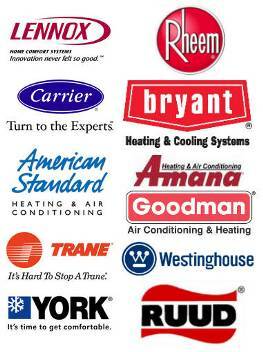 I highly recommend Scottsdale Appliance and AC Repair to others." "I’m happy to recommend Scottsdale Appliance and AC Repair to others. They fixed my Sub-Zero refrigerator and my Whirlpool clothes washer in the last few months and did a very good job on both. They are working just fine. Keep up the good work Scottsdale Appliance and AC Repair!" "Scottsdale Appliance and AC Repair fixed my AC last summer so when my dishwasher started making noise and leaking I gave them a call. The Bosch dishwasher is 7 years old and it’s the first problem it has had. It took about 10 minutes to find the problem. I was given a written estimate for the repairs and they stuck to the cost. No surprises. Runs quiet now and no more leaks."